So, the name may not reach out and grab you, but these cookies are incredibly buttery, melt in your mouth, fantastic! These are a great cookie to mix and match if you are doing a holiday plate of baked goods.They are a “mini” cookie and so a batch can make around 100 cookies! Talk about efficient! Make it a family affair and let the kiddos help you “decorate” the cookies. Sift flour and set aside. Cream butter in a mixer. (about 4 minutes) Then add the remaining ingredients one by one until well combined. When mixture is combined, put on a floured surface and knead for a couple of minutes. Then roll out dough about 1/4″ thick. 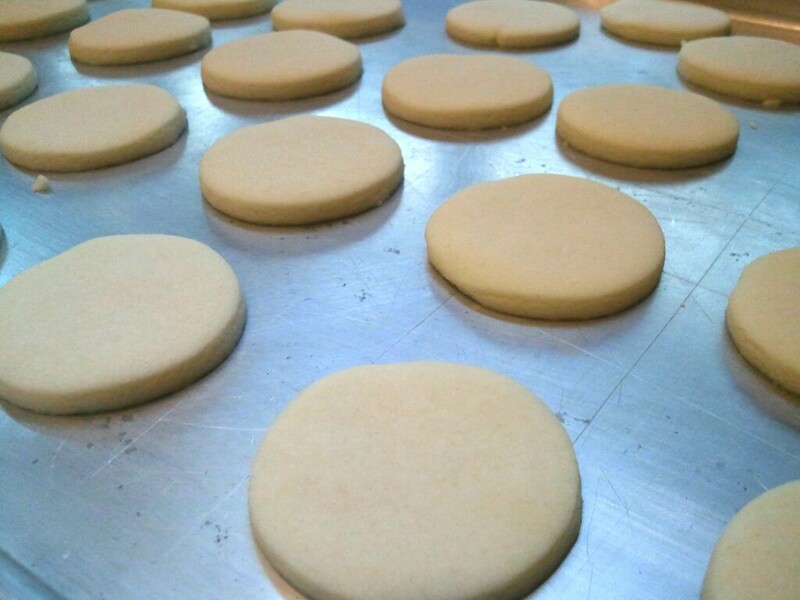 Use a round cookie cutter (about 1″) and cut into circles. Bake for 10 minutes. This is what the cookies look like fresh out of the oven. If they are brown at all, you have burned them! Cream butter in mixer. (about 4 minutes) Add 2 cups of the sugar, vanilla, and half of the milk. Mix well until powdered sugar is incorporated. Then add the remaining powdered sugar one cup at a time and adding milk until desired consistency is reached. What an interesting recipe! I’ve never made cookies with cornstarch but I’m willing to give it a try. They look beautiful. 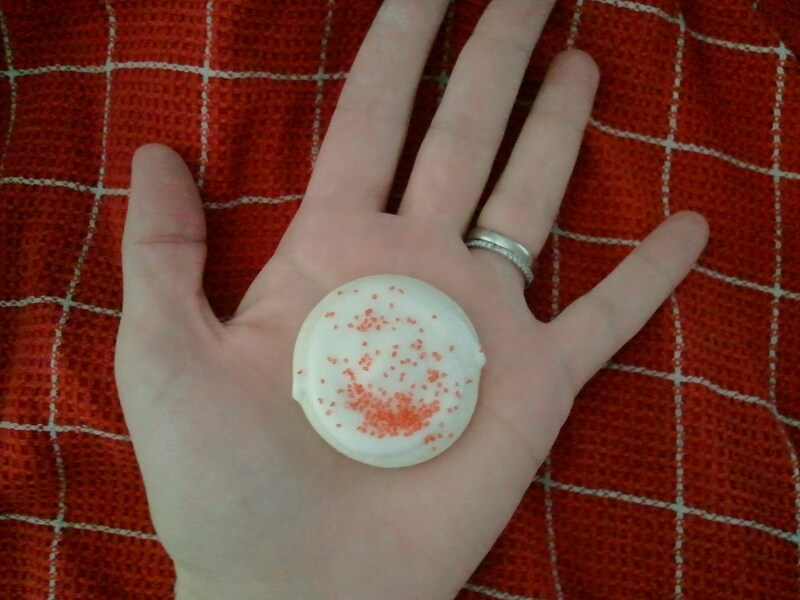 Simple, frosted cookies are my favorite kind! Shannon had these at her wedding and i loved them! 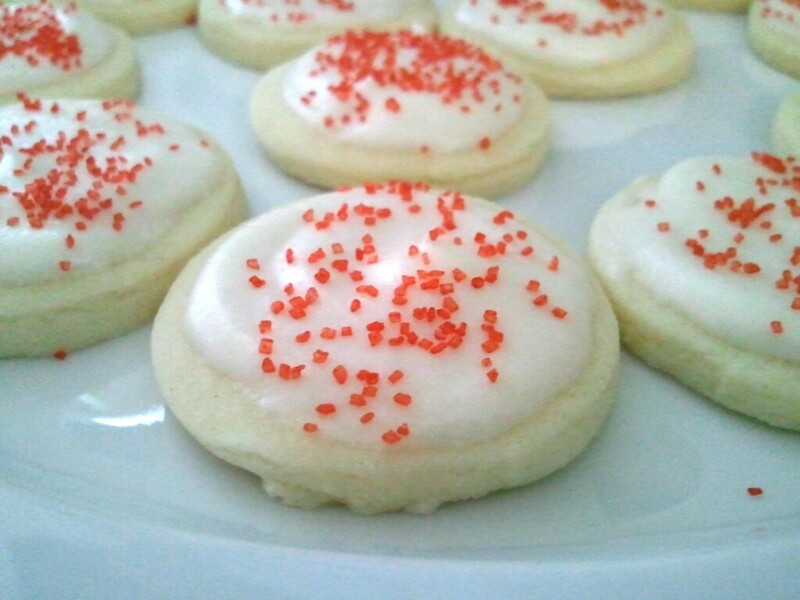 They are a beautiful cookie and really easy to make! I agree, sounds interesting. Does the frosting dry hard? It has butter in it so wasn’t sure. The look really cute! I made the frosting a wee bit more runny than I would for a sugar cookie. So if you let them sit out there will be a shell of hardness but it is soft once you bite in. These look great. Just tried a chocolate chip recipe with cornstartch and they were great so can’t wait to try these! Thanks for linking this up at So Very Creative, I featured them. Make sure to come grab a button! Wow! Thanks, Heather! We really appreciate that! This is an awesome cookie recipe, so delicate and full of flavor. A perfect cookie for holiday entertaining. Thank you so much for sharing with Full Plate Thursday. Hope you are having a great week end and come back soon! Never would have thought of using cornstarch in a cookie, and then this year I see this recipe and another one I made had some in it! Too funny. These look gorgeous! Thanks for sharing on Crazy Sweet Tuesday! this almost sounds like the Cheryl&Co. cookie that I have been looking for…winner winner chicken dinner!